I founded Goshen Home & Design in 1997 as a natural progression of my previous twenty-five years experience in residential building. 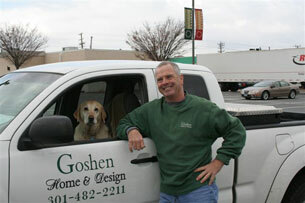 With emphasis on custom home building and remodeling, Goshen Home & Design has successfully completed projects of all kinds all over Montgomery and Frederick counties. My mission is to build innovative and quality designs on time and within budget while ensuring the highest level of customer satisfaction. With virtually all of my business being referral-based, excellent customer relations are essential to my success. Because customer satisfaction is paramount, I have chosen to remain a small business with loyal and experienced sub-contractors, many of whom I have worked with for over 30 years. 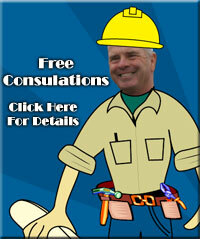 I personally supervise every project from initial contact to design to bid, contract, construction, and completion. My goal is to have a professional one-on-one relationship with every job and client I do business with and to be able to walk away from every project when it’s complete with a feeling of pride and satisfaction for a job well done.